It is finally here! My newest design, Rainbow's End, using beautiful Australian Aboriginal Fabrics from M & S Textiles. I had a ton of fun using these bright and bold fabrics. Something that, as many of you know, I LOVE!!! Let's take a little peek.. Here is a close up. The colors are bold and bright. For the quilting I chose to do pebbles for texture. This is such a busy quilt the quilting is hardly noticeable. But I love the texture! The sashing helps for the division of the blocks. 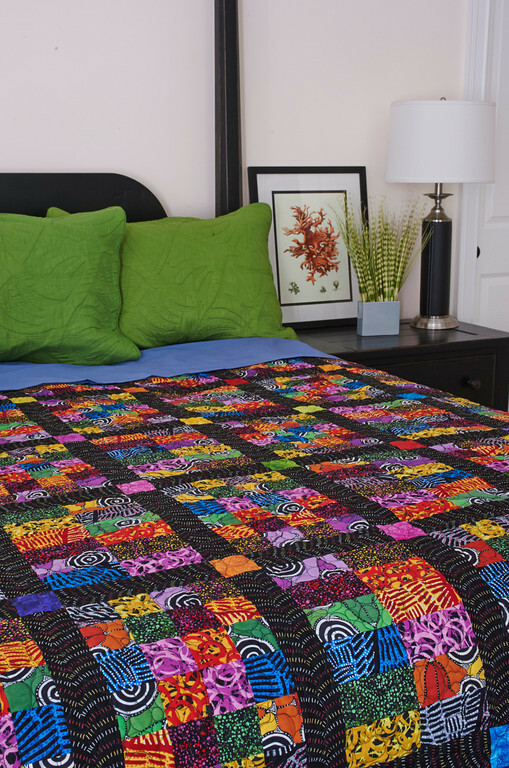 This design uses 2.5 inch strips so you can easily make this quilt from your stash if you prefer. The backing was also from the same collection and was used on the front of the quilt as well. Beautiful, just like a rainbow, right?? The whole quilt. 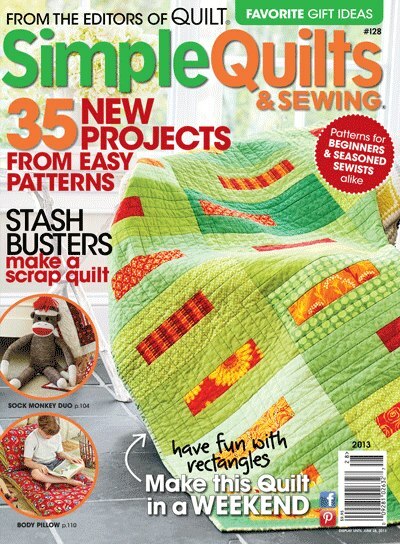 But the best part is it is published, just out now in the current issue of Simple Quilts and Sewing. You, too, can have this pattern or if you like a kit from my shop! Love it on the bed! 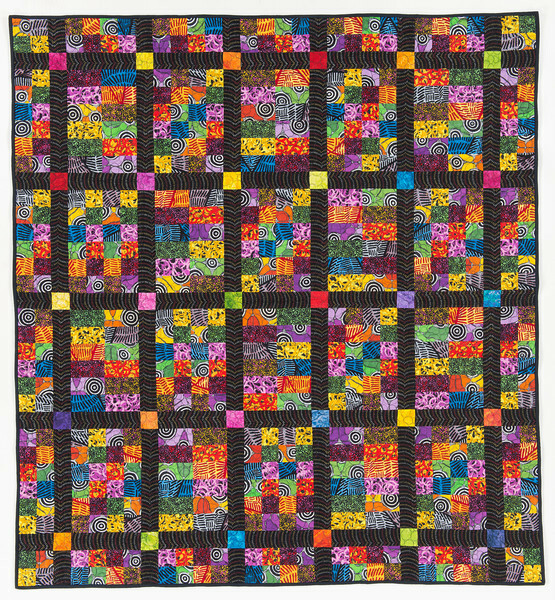 A great flat shot of the quilt. If you would like to make it in the exact same fabrics you can purchase the kits in my shop by clicking here. I can guarantee you won't be disappointed! And, it will put a little sunshine at your Rainbow's End! !